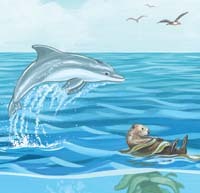 Told in rhyming narrative, Habitat Spy invites children to find plants (or algae), invertebrates, birds, and mammals living in thirteen different North American habitats: backyard, beach, bog, cave, desert, forest, meadow, mountain, ocean, plains, pond, river, and swamp. 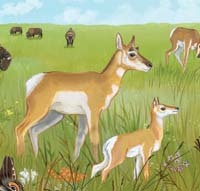 Children will have fun discovering the characteristics of each habitat as they “spy,” identify, and count the resident plants and animals and learn about the interactions between living and non-living things. 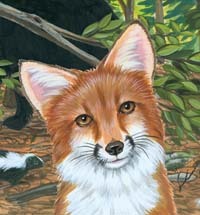 This nonfiction picture book with a cuddle factor includes a 4-page For Creative Minds section in the back of the book and a 70-page cross-curricular Teaching Activity Guide online. Habitat Spy is vetted by experts and designed to encourage parental engagement. Its extensive back matter helps teachers with time-saving lesson ideas, provides extensions for science, math, and social studies units, and uses inquiry-based learning to help build critical thinking skills in young readers. The Spanish translation supports ELL and dual-language programs. The interactive ebook reads aloud in both English and Spanish with word highlighting and audio speed control to promote oral language skills, fluency, pronunciation, text engagement, and reading comprehension. 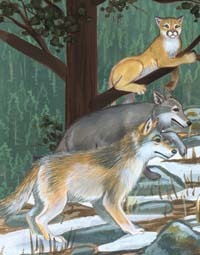 Vetters: Thanks to Eliza Russell, Director of Education at the National Wildlife Federation, for verifying the information in this book. Cynthia Kieber-King (Habitat Spy) has always been inspired by nature and science, and has degrees in zoology and biological oceanography. Before becoming a children's author, Cynthia worked as an environmental consultant studying wetlands and conducting ecological risk assessments. She loves to travel and explore all kinds of habitats and learning about all the different plants and animals that live there. Cynthia lives and writes in central New York State with her wonderful husband and son. 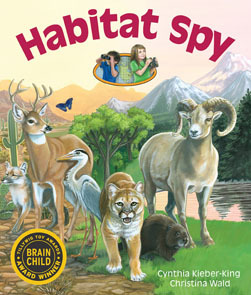 Habitat Spy is her debut picture book. Visit Cynthia's Website.